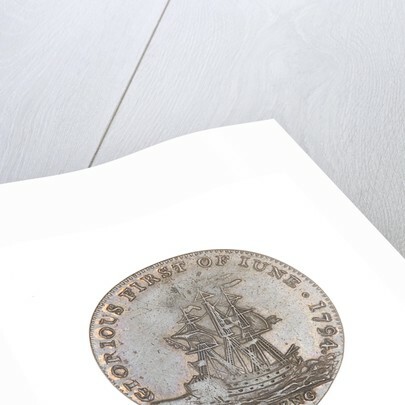 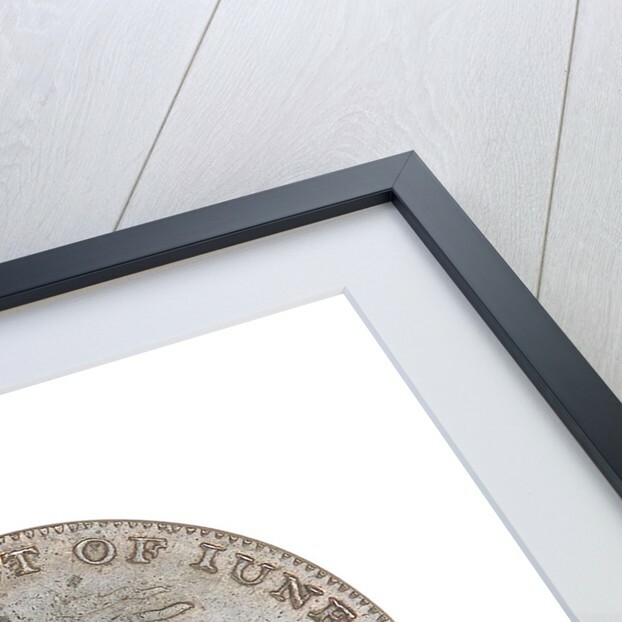 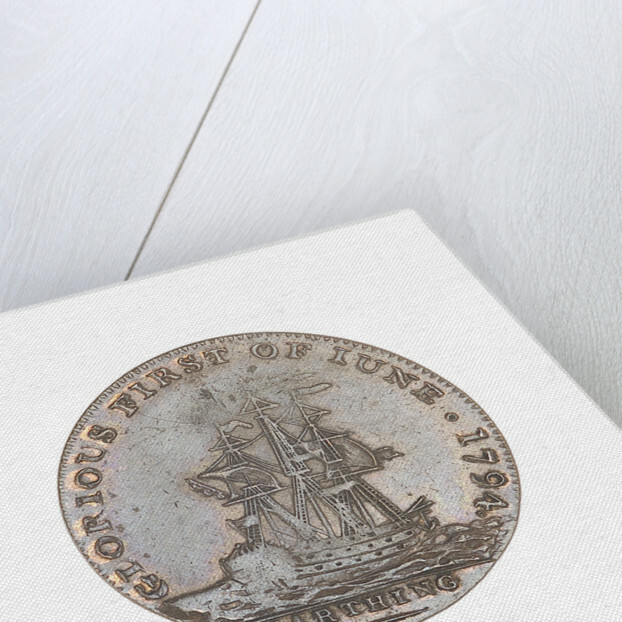 Farthing token commemorating Admiral of the Fleet Richard Howe (1726-1799) and the Glorious First of June, 1794. 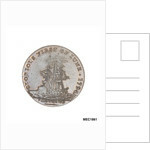 Obverse: Bust of Admiral Howe in a pigtail, cocked hat and uniform (right). 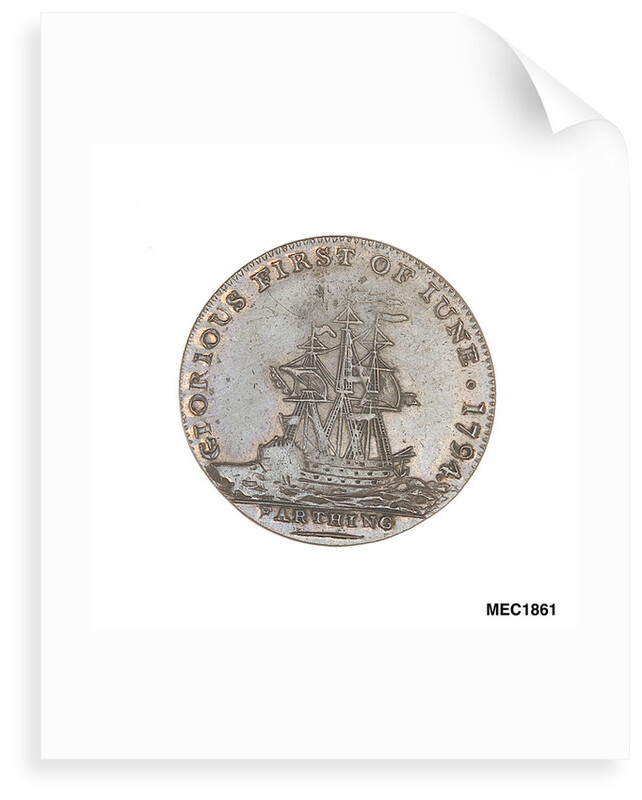 Reverse: Starboard quarter view of a three-masted ship under fore and mizzen topsails.